Guatemalan President’s Mid-term Exam: A Failing Grade? President Pérez Molina’s second annual report to the nation last week at Guatemala’s National Theater featured statistics on the government’s progress, but it may be better remembered for an incident in which a protester threw white powder in the face of Vice President Roxana Baldetti. A number of opposition deputies boycotted the session, and protestors outside drew headlines. The President touted specific accomplishments, but his overarching plans –structured in three “pacts” welcomed even by the opposition – have fallen short of expectations. The President in his speech said malnutrition has declined, but critics say that the Zero Hunger Pact is mostly unimplemented and chronic malnutrition persists. National surveys and several studies report that half of all Guatemalan children face a life with deficits in their abilities to learn and be competitive. The Security, Justice and Peace Pact – expected to be a strong point for a former Guatemalan army general with a reputation as an “iron fist guy” – has fallen short. Pérez Molina said the national homicide rate has dropped from 39 to 34 per hundred thousand inhabitants, but the National Institute of Forensic Sciences has reported a slight increase in murders in the capital and surrounding area. Crime and insecurity remain a daily reality for Guatemalans, fueling popular frustration that Pérez Molina is not meeting one of his top campaign promises. The Fiscal Pact for Change is also not delivering desired results. According to Icefi, public finances are in crisis, not because of an external economic shock (2009-2010) or because tax reforms failed to increase revenues (corporate taxes rose 35 percent in 2013). Rather, corruption is fueling fiscal shortfalls. 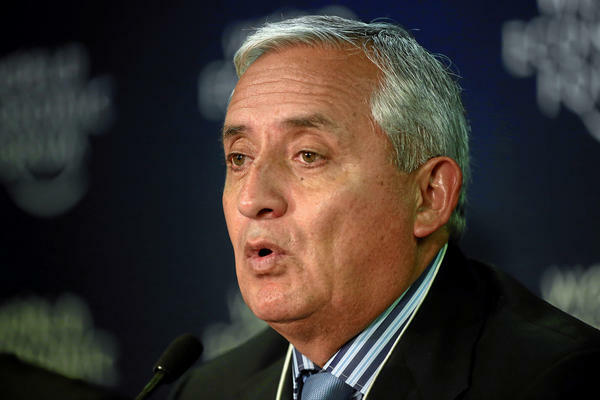 According to President Pérez Molina and in Vice-President Baldetti’s own words, the influence of organized crime over the Customs System, whose duties and VAT on imports account for one third of Guatemalan tax revenues, is hampering collection. For a student, a bad grade on a mid-term exam is an alert that things are not going well – but that a serious effort in the second half can save the course and achieve success. For Pérez Molina, serious effort from now on is going to require more than a speech and applause at the National Theater. The final exam for him and his government looms large on the horizon: elections will take place in September 2015, and campaigning will be well advanced in 2014. Voters are influenced by their daily reality, not an official report of success and accomplishments more reminiscent of Alice in Wonderland than real life Guatemala. The President knows the clock is ticking. Ricardo Barrientos is a senior economist at the Central American Institute for Fiscal Studies (Icefi). Turning the Tide on Deportations? Excellent overview/update. Thank you Prof. Barrientos.